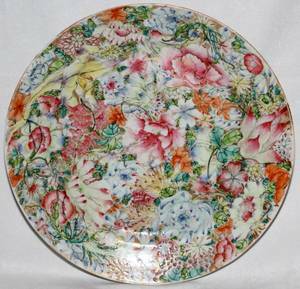 Rose Medallion decoration - 6" in diameter. 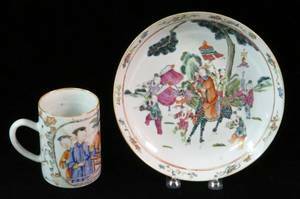 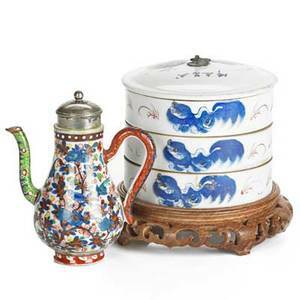 CHINESE PORCELAIN PLATE & MUG LATE 19TH C.
101207: CHINESE PORCELAIN PLATE, 19TH C., DIA 9 5/8"
Chinese porcelain plate 18th/19th c., painted with famille rose enamels. 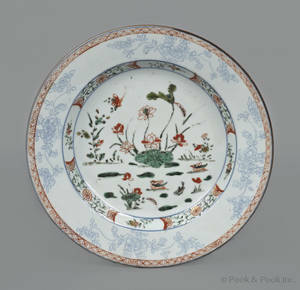 9" dia. 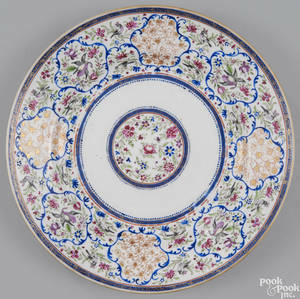 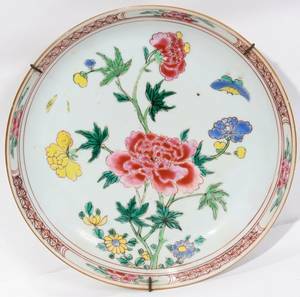 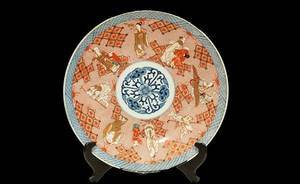 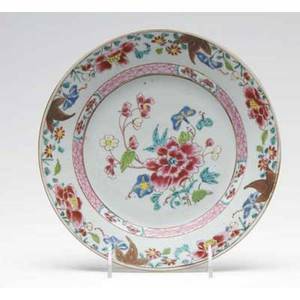 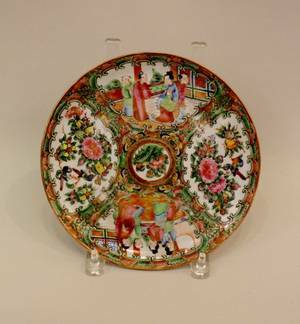 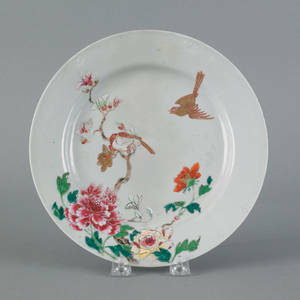 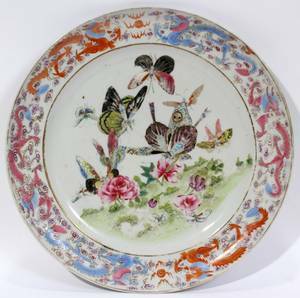 080192: CHINESE PORCELAIN PLATE, 19TH C., H1.5" DIA9"
Chinese porcelain plate, mid 18th c.